The 2014 entrants into TheCityFix’s Urbanism Hall of Fame have pioneered concepts for more livable, sustainable cities worldwide. Photo by Nicolas Lannuzel/Flickr. The science of sustainable cities is constantly evolving. Cities are the birthplace for innovative ideas to address a myriad of global challenges, and new solutions require strong leadership. Throughout 2014, Dario Hidalgo and TheCityFix have examined the pioneers of sustainable cities to compile TheCityFix’s Urbanism Hall of Fame and highlight their contributions to sustainable transport and urban development. Jane Jacobs, writer and community activist, was central to reversing the mindset that achieving the American Dream meant owning a large, suburban house with multiple cars. In the post World War II era, cities in the United States were building highways to cut through downtowns. The trend in transport planning focused on how to move cars quickly through the city, while Jacobs helped shift the discussion to moving people within a city. Jacobs challenged the idea that cities were places of chaos and blight. She trumpeted mixed-use development, vibrant pedestrian thoroughfares, and multicultural urban environments. The entire field of urban planning has since shifted around Jacobs’s ideas. As Singapore’s first Prime Minister and leader for 31 years, Lee Kwan Yew shaped a long-term urban plan that integrated land use and transport planning. 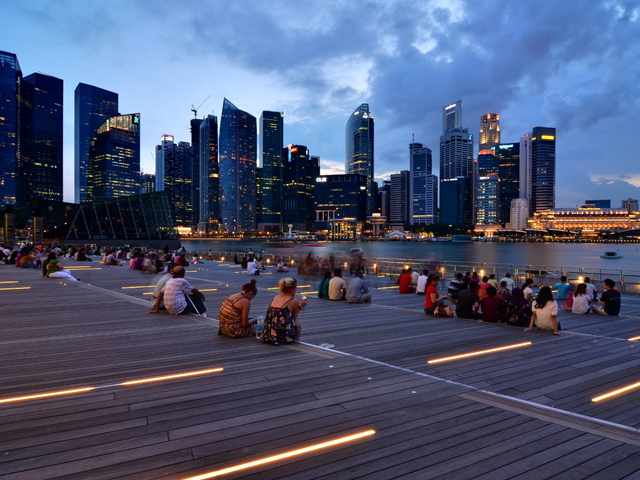 Under his leadership, Singapore introduced vehicle registration quotas and the world’s first congestion pricing scheme in 1975, helping to generate revenue to create a world-class transit system. Though controversy remains around Yew’s political approach, he led a multicultural city from chaos and crime to prosperity, using people-oriented design to provide a high standard of living for its millions of inhabitants. As Mayor of Curitiba, Brazil, Jaime Lerner pioneered the first bus system with the core elements of bus rapid transit (BRT). BRT has since spread to 189 cities and counting, saving people time and money while decreasing congestion and pollution. But Lerner’s leadership in urban sustainability didn’t stop there. Lerner led the creation of a master plan that integrated land use and transport, expanded green space to make Curitiba one of the greenest cities in the world, and created new recycling plans to make trash valuable and give low-income residents jobs. As the developer of the human-centered urbanism theory, Jan Gehl was a driving force behind Copenhagen’s development. The city has since become globally recognized for sustainable mobility, with 50% of residents commuting to work or school by bike, and world-class biking infrastructure. Gehl has helped pioneer the theory for vibrant public spaces through good urban design. His ideas have been successfully implemented in cities worldwide. Ken Livingstone became the first Mayor of London when the Greater London Authority was created in 2000. Under his leadership, London implemented a range of policies to advance urban mobility and sustainable development such as pedestrianizing public spaces, improving bus services, and redeveloping transit hubs. Above all, two key policies transformed urban mobility: a congestion charging scheme and the city’s Oyster card. London’s congestion charging zone is the largest in the world, and it helped dramatically increase the number of people using buses, bicycling, and walking, while also improving air quality. The Oyster card system streamlined the process for paying for transport fares, improving customer experience and serving as an example for cities worldwide. As Mayor of Barcelona, Maragall ensured that hosting the Olympics was part of a long-term urban renewal strategy, and infrastructure investments for the games helped spark a revitalization that turned Barcelona into a global destination. Peñalosa’s most well known accomplishment as Mayor of Bogotá, Colombia from 1997 to 2001 is likely the TransMilenio BRT system – which carries over 2.2 million passengers per day. But his influence doesn’t stop there. Peñalosa helped make Bogotá widely recognized for innovation in urban mobility and social justice. He transformed the city’s social housing program, recuperated and expanded parks and public spaces, built over 350 km of (217 miles) of protected bikeways, added thousands of feet of sidewalks for people, formalized and supported hundreds of informal settlements, restricted car usage using transport demand management (TDM) strategies, and more. Stay tuned for more entrants into TheCityFix’s Urbanism Hall of Fame in 2015!